No need to worry about losing your tools in the dark again with Klein Tools' Hi-Viz Wire Stripper/Cutter. 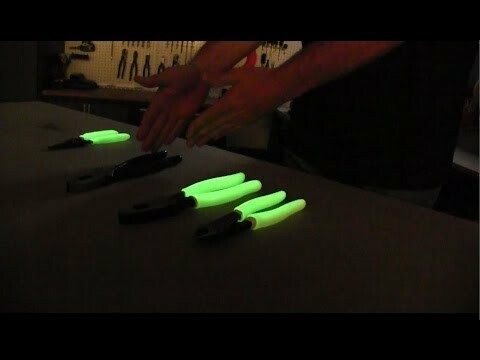 The glow-in-the-dark grips can stay illuminated for up to 30 minutes! Plus, they charge in natural or artificial lighting. This tool cuts, strips, and loops 8-16 AWG Solid and 10-18 AWG Stranded wire.